Is Drexel Code worth your time? Read this Drexel Code review to find out all details. 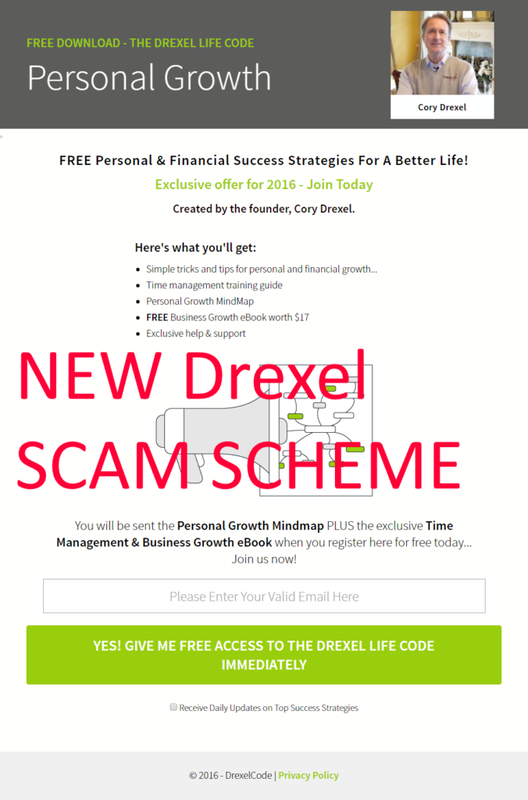 Closed Website: http://drexelcode.com - old website is gone, updated by new scam scheme. Warning: Drexel Code's website might be operating but the business is closed. It is not recommened to register or signup with them as it will not be functioning account and you may lose the money because there will no withdrawals can be made. Corey Drexel claims that he was once broke but now earning $50 million dollars a year from 100% winning trade with no loss. Driving an expensive Mercedes Benz car to his office with a beautiful front desk receptionist and coders and developers that works for him who he calls – The Brew Crew. Offering 100% free use of their system for the next 50 testers. Update May 2016: Drexel Code website is gone! Told you it was a scam. Here is picture of their “new” fraud scheme! Warning: Drexel Code's website might be operating but the business is closed. It is not recommened to register or signup with them as it will not be functioning account and you may lose the money because there will no withdrawals can be made.